Fenwick’s keeping you rolling and clean. We mentioned that we’d got some Fenwick’s Airtight tyre sealant from Zyro, the UK importers, a sealant which may just be able to turn a normal clincher tyre, on a normal clincher rim, into a tubeless set-up, when it got us questioning why we have never used a sealant in our tyres before. 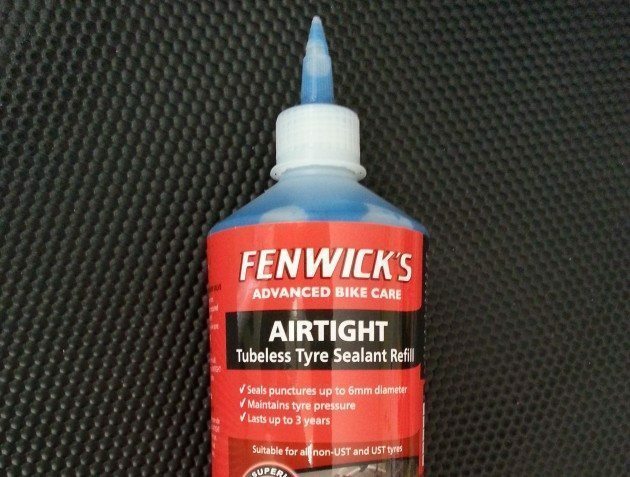 Fenwick’s Airtight Tubeless Tyre Sealant is a gel with a non-toxic, glycol free, non-thickening anti-freeze, which is thick when stationary but when the wheel is rotated will flow (thixotropic), and they claim will fix a puncture up to 6mm in diameter with the added benefit of forming a permanent repair, unlike latex sealants. It is claimed that Airtight also outperforms latex by being usable in cold conditions and with C02 cannisters, plus most importantly, lasting up to 6 times longer. As you’d expect, it can be injected through the valve hole into an inner tube, tubular or tubeless tyre, as long as you have a Presta valve with a removable valve core. But its the tubeless claims that are really appealing to us. Fenwick’s claim that Airtight can be used to convert non-tubeless tyres to a tubeless by painting it straight onto the tyre wall or placing it in the tyre-well and then rotating the tyre. We are very excited about the potential for Airtight and will report back on how we get on. 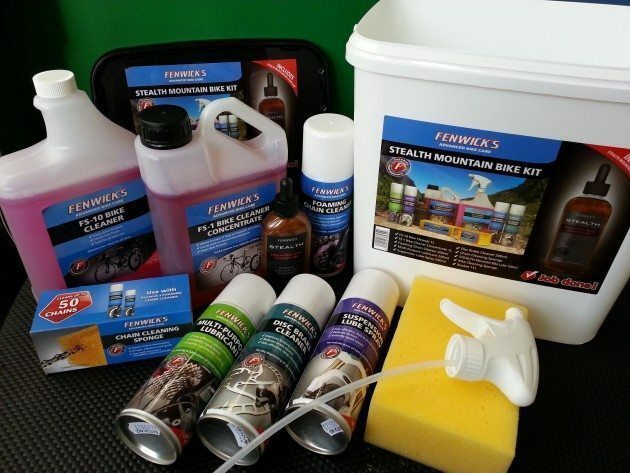 Also from Fenwicks we have their Stealth Mountain Bike kit which has everything that anyone venturing off-road – in CycleTechReview’s case cyclo-crossing – might need to keep their bike in tip-top shape. Inside the ‘bucket’ you get bikes cleaners, chain cleaners and lubes, disc brake cleaner, more lubes, an applicator and some cloths, including a nifty looking chain cleaning sponge. We’ll have a detailed review once we’ve got to grips with it all.